Thrillers have always exploited the latest methods of communication, whether people are witnessing murders over Skype (Unfriended), telephones (Phone Booth), pigeon (Bird Box) or cave paintings (Ice Age). 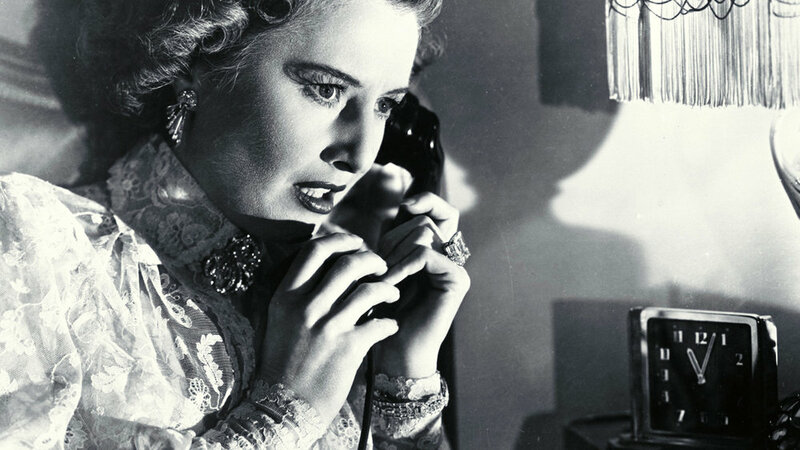 1948’s Sorry, Wrong Number stars Barbara Stanwyck as a New York heiress who overhears the scariest phone call since Elton John rang Vladimir Putin, but being bedridden she’s powerless to stop the eavesdropped murder plot. Before you can say Rear Ringtone, a series of calls and flashbacks unfold involving her billionaire father (Ed Begley) and his Kushner-esque son-in-law (Burt Lancaster). Adapted from her radio play, Lucille Fletcher’s sharp writing pulls you in different directions like crossed wires. At its centre is an unnerving, unravelling performance from Stanwyck, who keeps you on the line even when the plot stretches credibility. Her mounting hysteria and psychological distress make her a sort of Phone Crawford type, but the ironic execution is pure HitchLocke. Director Anatole Litvak dials up the tension and wrings out the fun, ensuring your sympathies are consistently switched so you’re never bored. Predating Rear Window by 6 years, Sorry, Wrong Number might just Disturbia even more.